Hey guys! I am super excited to share some gear that I received from a company called Cove & Creek Outfitters! 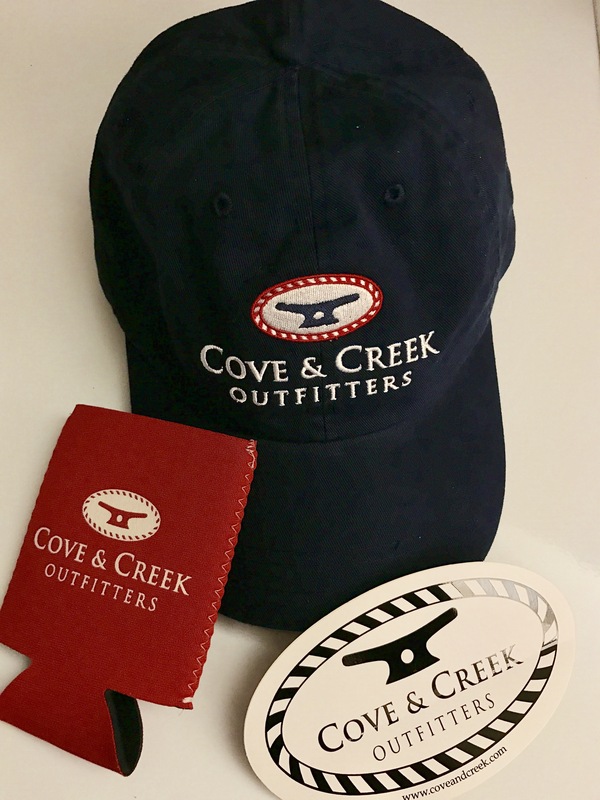 Cove & Creek outfitters is a company dedicated to making clothing and accessories expressing love of being on the water! I absolutely love their products and was lucky enough to receive one of their hats, a koozie and a sticker! I love their navy hat! It just symbolizes American pride for me and is the perfect addition to every preppy outfit! I have a red and white striped Polo vneck and plan to wear that as my Fourth of July outfit this summer and you bet I will have my koozie on hand for when I crack open a cold one! This sticker is also really cute! It would be perfect for a cooler but I’m planning on putting it on the container I have on top of my car. It will look awesome there! I also follow them on Instagram to stay updated on new arrivals and you should too! They are currently hosting a giveaway on their Instagram page so you should enter that as well! You can win the hat and sticker I received as well as one of their shirts! It’s a great giveaway and you wouldn’t want to miss out! I hope you loved learning about this company and if you buy something from them, be sure to let me know what and what you think about your purchase! !